August Book of the Month! 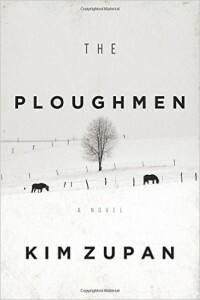 This month we’re reading Montana-native Kim Zupan’s “The Ploughmen”. Steeped in the lonesome Montana country, unyielding as it is beautiful, “The Ploughmen” is the story of two men – an aging killer awaiting trial and a troubled young deputy – who sit across from each other in the dark, talking through the bars of a county jail cell. Zupan, who currently lives in Missoula, grew up in and around Great Falls, where much of this novel is set. on and a discussion with other club members!